Adapalene (0.1%), Benzoyl Peroxide (2.5%). Acrylamide/sodium acryloyldimethyltaurate copolymer, docusate sodium, edetate disodium, glycerin, isohexadecane, poloxamer 124, polysorbate 80, propylene glycol, purified water, and sorbitan oleate. this product bleached my face. no joke. just because it didn't work for me, does not mean it wont for everyone BUT if you are a darker skinned person (like myself) be wary of the product's bleaching nature. I found epiduo gel was really good, it made my subclincial forehead acne that I’ve had since grade 11 exams disappear and it was so nice to see a clear forehead again no burning, drying or itching. Except I’ve been through two rounds and I know you have to use it every day, sometimes I’d accudentally miss a day here or there by accident but really after two rounds of this stuff I was hoping it would be a permanent result.... so not really sure what to do and if anyone else is the same? I may need to go to see a dermatologist. 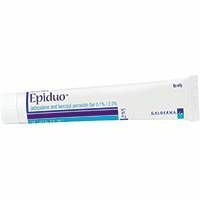 I recommend Epiduo for mild and severe acne. I suffered adult acne for almost 1 year and this medication really works for me. I've noticed my scars are fading too. I started to use Epiduo last November 2018 and I've experienced acne breakout for 2 months then after that my face started to get clear. Today, I have mild acne scars and I'm planning to undergo Dermabrasion procedure. You need to be patient and you will be satisfied with the result. Everytime I have acne breakout, I applied clindamycin solution. This medication was prescribed by dermatologist. I’ve had adult acne since I was 20 (now 37). 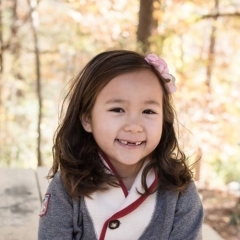 I got it under control for years by being on birth control but 4 years ago it came back with a vengeance. 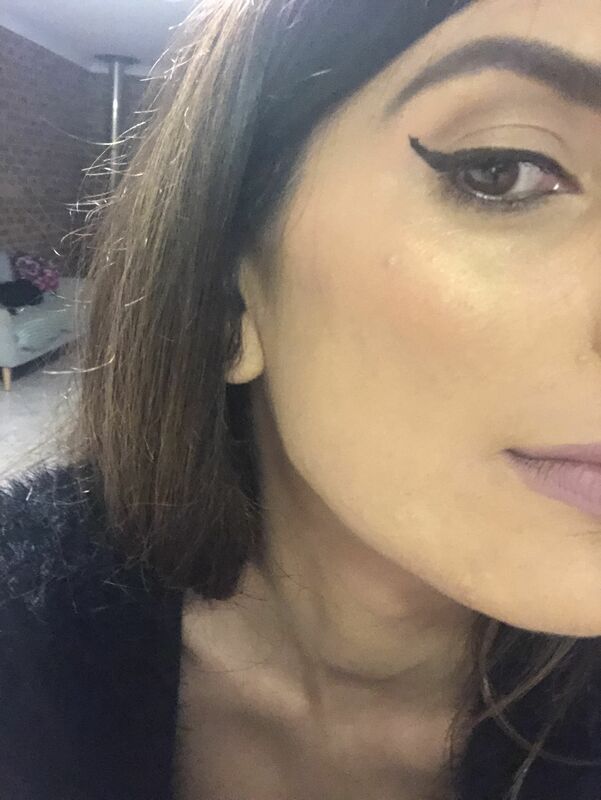 My problem has mostly been closed comedones from the cheeks down and jawline. For the last 4 years my doctor and I have tried everything. Different types of birth control, antibiotics, retinol. Nothing worked and my skin would still be bumpy. I got desperate and tried sebaceous gland ablation. This treatment was painful, expensive and left me scarred. Plus the products they made me use contained ammonium laureyl sulfate which I have only now learnt is a trigger for acne. After two months of “treatment” my skin was worse than ever. I switched back to my ASAP products which helped a bit but the bumps remained. Given that my acne is hormonal, I decided to try a female doctor. She told me she had suffered with acne herself and epiduo had really worked for her. I was skeptical that a cream could really do anything for my damaged skin but decided to give it a try since her skin was clear. First week, less pimples. Skin became dry and scaley. Second week, skin was terrible. I woke up every morning with 5 inflamed pimples and another 5 would develop through out the day. My skin would burn when I applied the cream. So I stopped using a salicylic acid toner and skin clearing gel with glycolic acid in it. This reduced the burning. However the pimples were so painful that my face was swollen. The glands in my neck even became inflamed because of the acne. At this point I contemplated going on antibiotics but didn’t. Third week, skin was less dry and scaley but I was starting to wake up with less pimples. Then one day all the bumps on my chin area and jaw line became huge inflamed pimples. Fourth week (now), suddenly I’ve realised that my skin is smoother than it’s been in four years. What the epiduo did is bring every single closed comedone to the surface. And it’s stopped new ones from forming. My skin is pretty much clear now except for red marks. I’m applying aloe Vera gel to the marks to help them fade. I’m hoping I’m on the road to recovery now. Morning routine: ASAP Daily Facial Cleanser, the Ordinary Zinc and Niacinamide serum mixed with Vitamin C suspension serum, oil free moisturer with SPF. Night routine: double cleanse with ASAP Daily Facial Cleanser, epiduo, oil free moisturiser. After LED light therapy I apply Aloe Vera Gel to the marks and any healing blemishes. Twice per week, after cleansing, I also use a microdermabrasion scrub. Hi congratulation to your success ! I have a same situation about your skin problem too , my question is how do you apply the product? Is it only on the affected area? Beautiful! I'm so happy for you! 4 months in working pretty well. I've used Epiduo on and off for the past couple of years but in August I decided I would stick to a routine. It's really cleared my skin and now all I have are some white heads and scarring. Epiduo make my forehead and nose super oily and my cheeks and chin super dry. It took me months to find the right routine but I think I finally found it. Before I begin: do NOT apply Epiduo to a large area of the skin until you have completed a 48 hour 'patch test'. I applied a small amount of Epiduo to the 'T-zone' and did not notice any redness or stinging at first. However, the following evening some redness began to show. I assumed that this was a normal response, since there was no pain, and applied another small amount. The area quickly began to burn and I removed the product within 5 minutes of application. 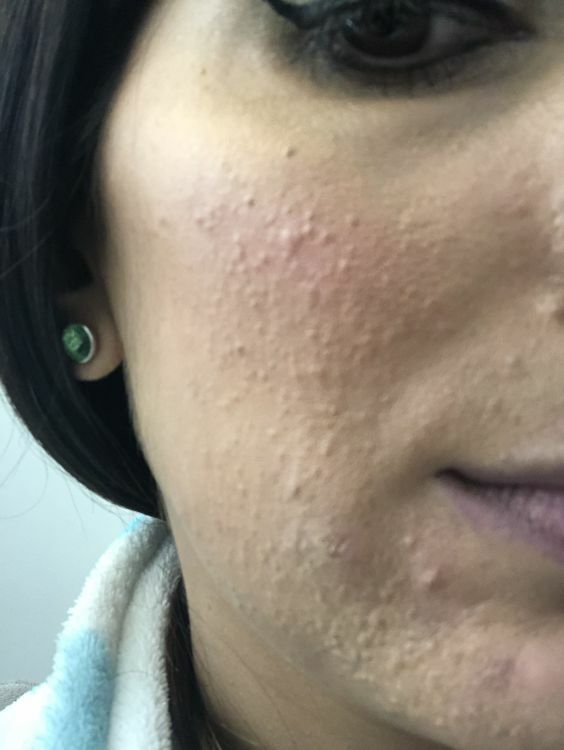 By the next morning, the redness had spread to almost my entire face (exceeding where the Epiduo had been applied initially) and my skin was sore, dry and flaky. This continued for another day, getting worse until eventually the burning became so severe that the only relief was from holding my face in ice water, meanwhile the skin became incredibly tight, cracking at the driest points, and swelling. The burning pain was so excruciating that I was taking both Ibuprofen and Paracetamol. Getting no relief from either, I took Codeine whilst continuing to ice my face. I was concerned that I was having an allergic reaction due to the swelling, and went to A&E. The burning, cracking and swelling was so intense that I had to refrain from screaming in pain in the waiting room. I was administered an emergency topical anaesthetic that is used to treat burns. The following day the swelling was at its worst and I could barely move my face, however the burning pain had subsided. I lost a layer of skin, but (luckily) it healed within two days. I am now aware of the fact that with Epiduo 'your skin will get worse before it gets better' (my dermatologist failed to mention this), however the severity of the skin's initial reaction will vary with each patient. Unfortunately, I was left in unbearable pain beyond what is tolerable in exchange for good results. I cannot emphasise enough the importance of leaving your 'patch test' for 48 hours or more as my response to the Epiduo took days to emerge. Some may choose to continue with the treatment, if it does not cause a great deal of pain (or despite the pain, if you really are desperate for results), however you MUST give yourself time to test the product on a small area and fully consider whether you are prepared to go through with treatment. Do NOT apply without testing. Hi there! I'm a 31 year old female. Struggling with acne for 15 years, with lots of ups and downs. Few years of clear skin, few years of horrible acne. Used pretty much everything, I can't even remember all of the creams and tabletes.. 2 years ago a got married, and stopped using bcp, as trying to get pregnant. Skin was clear, me happy. Then, about 4 months ago as we couldn't get pregnant naturaly, we started with the IVF. Allready done 2 cicles, no success. All I got from those synthetic hormones were cluged pores and comedonal acne. Was, and am, soo soo sad that my clear face was ruined. Anyways, I finnaly went to see my dermatologyst, and she suggested I take: Epiduo gel (at night, right before going to sleep), Eucerin Dermopure micellar water and Eucerin Dermopure Adjunctive Soothing Cream. Have been using this trio for exactly 18 days. Finnaly I can see the little improovement!! At firts, sking felt like it was too small for my face, it burnt, was itchy, peeling, got painful break out..and I was depressed, wouldn't go out, crying..was soo down, my self esteem so low, even I have the most wonderful man beside me. Now, 18 day after, i can see a light in the end of a tunnel. My skin condition is yet far from clean, but it's on its good way to that. Closed comedones are still here, but in smaller number, i have 1 cystic acne (from initial break out I think). I hope things would go well from now on.. I'm giving to Epiduo 3/5 cause I'm not acne free, yet, i hope! I'll keep you posted in comments. Fingers crossed! Wish all the best to all of you! P.s. when on Epiduo, your skin becomes very thin, so if you go and pop your zits you'll end up with real wound. Telling you-been there done that! Thank god epiduo fastens the act of healing! Absolutely useless. Has been 9 Months on this f***g s**t. Good luck with it. Maybe it will help you. May we all have beautiful and healthy skin! Much love. I've been suffering from mild-moderate acne. I broke out severely after going through some health issues so I decided to see a dermatologist who recommended Epiduo. I started noticing my acne clearing within a few weeks! It's been 5 years I've been using Epido which I can't live without. I do get a pimple here and there but for the most part my skin looks so good and radiant. I would highly recommend this drug. I would not use epiduo for localised acne from my experience! I did for a few local areas of acne on my cheeks. Well, it started to purge me in areas I had never had acne, and 1 year later, my face is 1000 times worse then when i started- the acne from cheeks is better, fine. but the rest of my face which had never seen a pimple is covered in cystic acne which i had never had.